The stores of four fashion brands of the LPP Group will be established in Galeria Chełm. 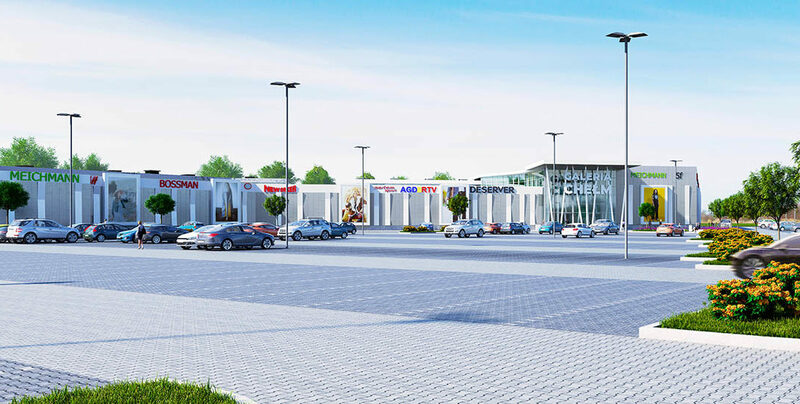 According to the signed lease agreement for a total area of 4,311 sqm, the Galeria Chełm offering will be enriched by the Reserved, Sinsay, House and Cropp stores. These stores, alike the entire shopping center, will be opened in the second half of 2019. Acteeum, the co-investor of the Galeria Chełm, responsible also for its commercialization, has recently signed a lease agreement with the LPP Group for over 4.3 thousand sqm. commercial space in this Chełm’s first shopping center. The LPP Group will open there four state-of-the-art stores of its well-known and valued fashion brands: Reserved (2,034 sqm. area), Sinsay (810 sqm. area), House (760 sqm. area) and Cropp (707 sqm. area). Thus, the customers of Galeria Chełm will be able to take advantage of the diverse and attractive offers of these leading fashion brands. – We are delighted that we will soon be able to present new stores of four out of our five brands to the customers from Chełm and the surrounding area. Galeria Chełm is the first shopping center in the city, therefore we could not have missed the opportunity. We believe that our diverse fashion offer will appeal to the inhabitants of the region – says Krzysztof Bocianowski, Lease and Expansion Director of LPP. Galeria Chełm customers will enjoy an extremely wide fashion offering, as each of the LPP clothing brands is directed to a different target group. Reserved is a brand that in its collections follows the latest fashion trends. It combines the beauty of classic designs with the original, freshest fashion proposals for a given season for women, men and children. In turn, Sinsay, the youngest brand in the LPP portfolio, is a brand for loud, characteristic and expressive girls who boldly follow the latest trends. The undeniable advantage of the brand are low prices, enabling teens to buy their dream T-shirts, jeans or fashionable accessories. House is an optimistic fashion brand addressed to women and men – students and young adults – offering both casual proposals for every occasion, as well as the latest fashion trends at affordable prices for everyone. There will also be proposals for streetwear fans. They will find interesting proposition in the Cropp brand showroom, which fits into the urban space and the widely understood urban lifestyle. It is directed to young rebels, girls and boys submerged in urban culture, who live their own ways and clothing emphasizes their individual styles. Among the tenants that will open their stores in Galeria Chełm are already such known brands as Lidl, CCC, SMYK, Rossmann, RTV Euro AGD and Martes Sport. The commercialization level had already, a year before the grand opening, exceeded 70%.